Join us for Ark Country Store’s Big Green Egg Demo on Thursday, December 13th. Stop by either of our locations during this “come and go” event for grilling tips, demonstrations, and store promotions. Be sure and take advatage of our 12 Days of Christmas special at this event, too: get 25% Off All Big Green Egg “EGG”sessories all day! 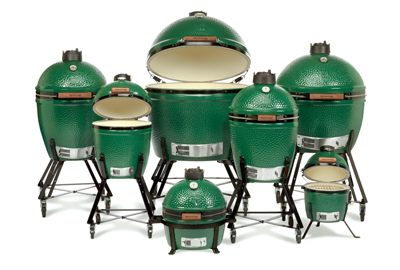 Big Green Egg product demonstrations show how you can use your Egg to grill, smoke or cook just about anything. You’ll find tips on how to set up, clean and use your Big Green Egg as well as a variety of new recipe ideas and grilling techniques you can try at home! The Big Green Egg stands alone as the most versatile barbecue or outdoor cooking product on the market, with more capabilities than all other conventional cookers combined. From appetizers to entrees to desserts, the Big Green Egg will exceed all of your expectations for culinary perfection … and with seven convenient sizes to choose from, there is a Big Green Egg to fit any lifestyle! Grill, smoke or cook with this Ultimate Cooking Experience. We offer Big Green Egg packages available all year. Pick up the egg, cart, plate setter, grill gripper, ash tool, charcoal, and starters. Shop local at Ark Country Store in Waxahachie and save! This entry was posted on Saturday, May 12th, 2018 at 2:50 pm	and is filed under Events. You can follow any responses to this entry through the RSS 2.0 feed. Both comments and pings are currently closed.